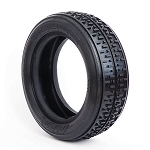 The REBAR is designed for indoor tracks and hard packed, blue grooved outdoor tracks. 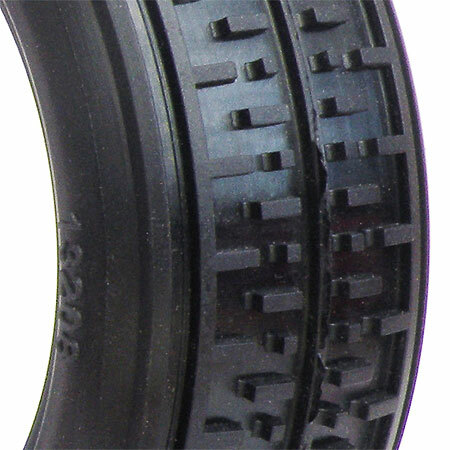 The REBAR features double side rails on the edges of the tire provide extra sidewall support. 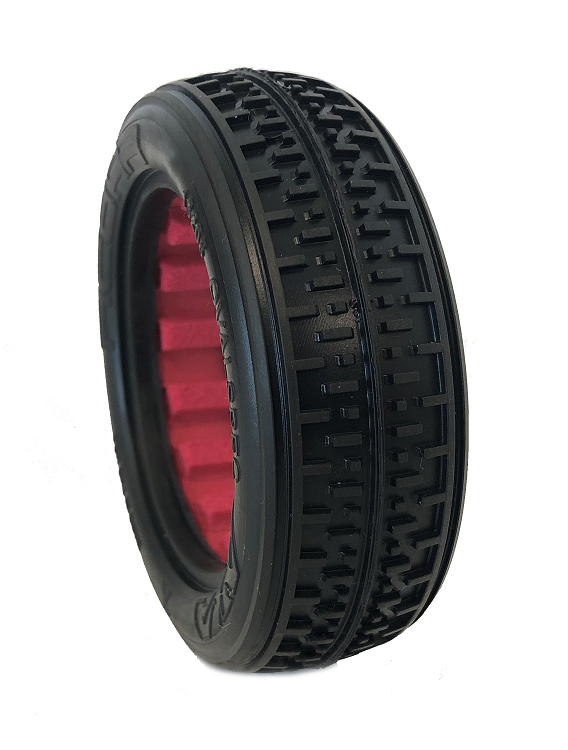 This increases side bite and keeps the front of your buggy planted in the turns. The center rail keeps the REBAR tracking like an arrow on the straights and helps with initial turn in feel.